Just 12hl/ha but that is still better than 2012 or 2013. Made with 30 percent new wood, this is a glorious imperial purple; on the nose, it’s really fragrant, lifted and lovely. To taste, there’s raspberry fruit mixed with alpine strawberries, some darker fruit too, the whole stretching beautifully across the palate. It has medium density and a pure and stylish finish. 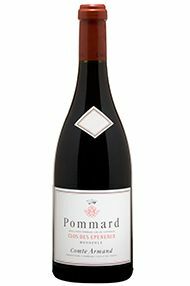 There’s a little touch of tannin at the back to remind us that it is Pommard – and a very fine one at that. Paul Zinetti has replaced Benjamin Leroux as régisseur (general manager) at this famous estate. He has inherited a great position but also, alas, a tradition of hail-affected vintages. With this in mind, Paul has looked for lighter extraction in 2014, with less punching down than previously. 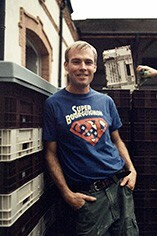 He has been with the domaine for several years prior to taking over, so he is fully au fait with these vineyards. The village Auxey is a steal this year. A lovely bright purple with charming mid-red fruit and some darker notes of cherry and black fruit. Suave and smooth with neither the aggressive acidity nor the tough tannins of some Pommard wines in 2013. Superbly crafted. This was Benjamin Leroux’s last vintage at Domaine du Comte Armand and possibly his smallest yet. Just 18 barrels of Clos des Epeneaux have been made, with a yield of around eight hectolitres per hectare. The vintage began on 25th September with good looking grapes and decent maturity. Benjamin is staying involved to see the vintage into bottle, though otherwise Paul Zinetti is now securely in charge. The Grand Vin is a blend of the various sections of Clos des Epeneaux, including a small percentage of the younger vines. This is a really elegant and perfumed Pommard, with a gloriously harmonious bubble of red fruit and heavenly cherries present throughout and before a long and refined finish. This really is quite terrific! This blend of the various different cuvées of the Clos is, as ever, even more impressive than its individual parts. 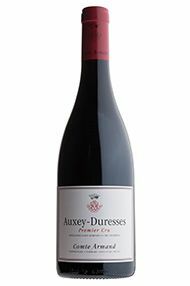 The bouquet is very fine, with stylish, vibrant red fruit aromas and lifted notes of spice. Tightly wound yet still with real generosity, this is a great wine in the making. Lay down and try to forget its existence for at least another five years. This is a lovely mid-purple in colour, boasting a beautiful nose of deep red fruit. The palate displays lovely sweet red griotte cherry fruit, followed by a lively but not trenchant acidity behind. This is a brilliant wine, with a mix of vibrant red and deeper black fruit notes. Dancing concentrated fruit covers the acidity and tannins sublimely well. This is a Pommard of exceptional energy as well as harmony. This superb vineyard should make one of the most stylish wines of Pommard, and Benjamin has yet again achieved this in 2008. 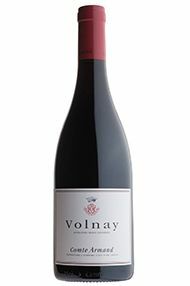 An entirely red fruit wine, this is seamlessly put together with just a touch of spice and perfectly balanced acidity. Production is down to a third of the norm, with only five and a half barrels produced, one of which was new. 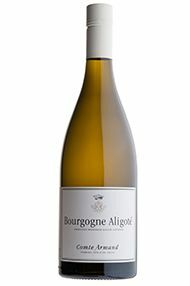 A blend from two of the village’s best sites – 60 percent Les Breterins and 40 percent Bas de Duresses, the grapes that were harvested were in peak condition. The result is a really pretty wine, with a delicate line of fruit and a twist of spicy grip on the finish. Drink 2019-2023. The family of the Comte Armand has owned the vineyard of Clos des Epeneaux in Pommard since 1826. The vineyard wasn’t replanted post-phylloxera until 1930, but has since confirmed its rating as one of Pommard’s very finest sites. The modern era began under Pascal Marchand followed by Benjamin Leroux and, from 2014, Paul Zinetti, Benjamin’s second-in-command. Further vineyards were acquired in 1994: Auxey-Duresses, Auxey-Duresses Premier Cru, Volnay and Volnay Frémiets. The 2016 harvest is Paul Zinetti’s third after succeeding Ben Leroux, and a subtle but discernible change is under way. The Clos des Epeneaux’s famous dense, rich, tannic composition, so individual and impressive, is being gently moderated towards a wine that will be accessible a little earlier, while in no way undermining the ageability of one of Burgundy’s great terroirs. The firmest tannins are less evident after only gentle pumping-over and a very limited number of punch- downs. A new de-stemming machine is also delivering much better quality whole berries. This is a vintage which reveals a whole new, sunnier and accommodating aspect of the Clos’s character. 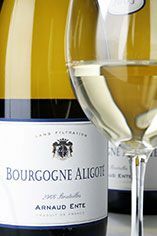 A lovely bright, luminous colour, this has a very pretty nose and enough weight to balance Auxey’s slightly grainy tannins. With a bigger crop, Paul only had space for eight percent whole-bunch in the tank and the oak component has been kept to 15 percent. Drink 2020-2024. This is from the lieux-dits Famines, which has the old vines, and Grands Champs, which is just above Famines. You can sense how Paul’s winemaking has worked: there is a lovely, ripe, open entry of pure coulis, but then a tightening of the tannins to pull the wine together. Drink 2020-2024. Fine, deep colour with a noticeably reserved, backward nose. Impressive energy on the palate, good fruit weight and unusual depth of flavour. Classy, exceptional long and elegant throughout. A product of the young (although nearly 30-year-old) vines from the Clos des Epeneaux, this Pommard is a fresh and vigorous youthful purple colour with significant density of bright red cherry fruit shining through on the nose. The palate shows plenty of energy, but also harmony and precision. Made from the younger vines of the Clos de Epéneaux albeit now averaging over 20 years old! Brilliant purple black in colour, with real stuffing, fully ripe fruit supported by firm Pommard tannins. Excellent length. This needs at least 5 years and will keep until 2017 and beyond. This is beautifully heady and perfumed. Some parcels are nearly 90 years old, and others 35 years old, with the crop a healthy 49.6hl/ha. Again, there is the impression of purity, sensuality and structure, aided in part by the contiguity of Pommard-Jarolières. Drink 2022-2028. As usual, older and younger vines are harvested and vinified separately. Tasted apart, the junior wine is lush and very driven by red fruit, the senior partner principally shows the density of old vines. Essayed in a 55-45 young-to-old-vine blend, the dark sweet fruit of the old vines is to the fore but kept mobile by the energy of the young vines. A very impressive double act. Drink 2025-2033. A rich, dense purple colour, this is magisterial. The nose holds immense possibilities though it may not wish to speak of the detail just yet. This is beautifully homogenous on the palate – a gorgeous, glowing, graceful Epeneaux that just reminds you in the aftertaste that it comes from Pommard. It offers the essence of raspberry but in the sumptuous, red-fruit style of the great vintages of the past. Drink 2024-2040. Paul Zinetti’s second harvest at the domaine has at least given him a few more grapes to play with than 2014 and fruit of exceptional quality. Nonetheless 2015 was once again a very short crop because of the previous hail damage, delivering just one third of what used to be normal. The grapes were mostly de-stemmed, although some whole bunches were used, but always a minority. There was only about half the normal yield this year (whatever that means at the moment), with only 30 barrels made. Tasting the separate components of younger (25-year-old) and older (65- to 80-year-old) vines, as well as the vin de presse , really highlighted where Paul is aiming to take the Clos. A new vertical press leaves more berries intact, and thus more sugar. There is an unusual level of suppleness (even in the vin de presse. This is really rather wonderful, a great terroir evolving with the times. Drink 2023-2035. Fabulous mid purple in colour with a haunting, concentrated nose. This is a massive, dense Pommard this year, you can almost feel the thickness of the skins, and this wine is surely going to require a long barrel maturation. However, the tannins remain very fine and there are signs of elegance throughout. Exceptionally persistent. This will become a treasured rarity, and will only be available in magnums. Heavy hail fell on 30th June in the Volnay and Pommard vineyards, then in Auxey-Duresses in August. 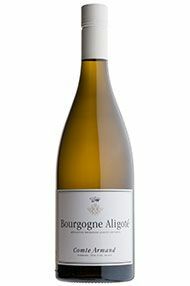 The generic Bourgogne vineyards got frosted somewhat as well, so across the whole domaine the yield is a miserable 12hl/ ha and may be even less for 2013. 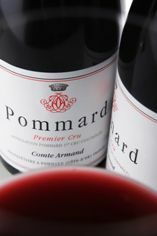 There will not be a Pommard Premier Cru this year. Fortunately winemaker and general manager Benjamin Leroux is of a sunny disposition, and, in any case, the wines are superb. 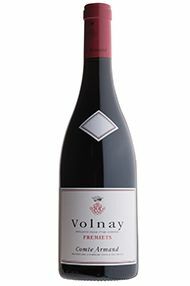 Ripe purple, with a dense concentration of dark cherry fruit, there is something a touch firmer behind, with more structure, as befits a Premier Cru. The bones are covered by delicious, unctuous fruit. This is a wine with great persistence. Drink 2020-2028.